Dean is a 6th generation Colorado native who grew up in a small rural community in Eastern Colorado, where cows out number people. Dean attended Texas Christian University in Fort Worth, TX, where Dean received a BA in Journalism with a minor in Sociology. After graduating from TCU in 2010, Dean moved back to Denver where I worked for a moving company while saving money and traveling. During that time Dean spent 6 weeks teaching English and travel around Indonesia, specifically Bali. 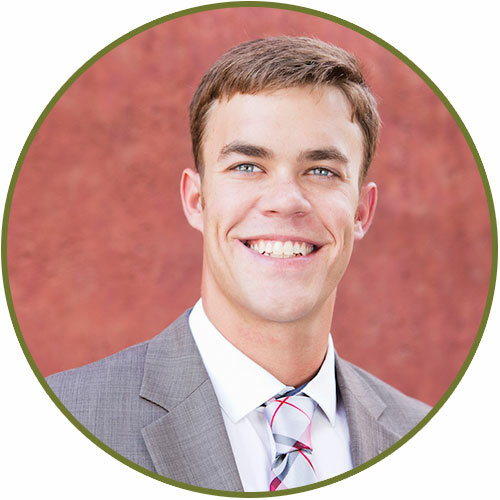 In 2013, Dean worked in Denver as a Jr. Loan Officer for Colorado Lending Source (CLS), specializing is small business financing. Dean was with CLS for 1 year before leaving to accept a position with Alpine Bank in Glenwood Springs as their residential mortgage loan originator in. Dean worked with Alpine for 1.5 years and now the mortgage loan officer for Bank of Colorado. Dean is an avid outdoorsman, culture connoisseur, and adventure seeker. Dean spend the majority of his time skiing, backpacking, hiking, golfing, fishing, walking my big dog, and traveling to new places. His philanthropic passions include early childhood education and development, nature conservation, and animal rights. Dean has been a Roaring Fork Board Member since August 2014, a Kiwanis Club member since October 2014, Jr. Achievement instructor since October 2014, a Basalt Chamber Ambassador since February 2016, and a Sopris Rotary member since March 2016.